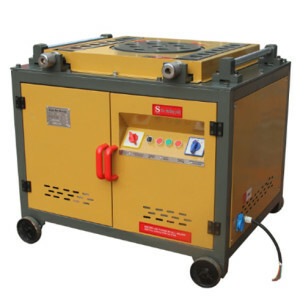 Automatic rebar bending machine is one type of rebar bending machines. This machine is convenient to use. 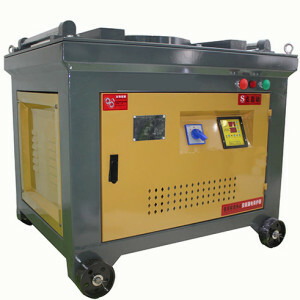 Automatic rebar machine is the same as a rebar bender machine. Both of them are widely used in constructing and building industries. Choosing automatic rebar bending machine to process bars can save a lot of time and labor force. 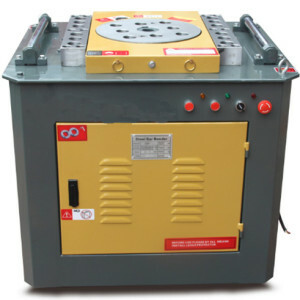 We provide different types of automatic rebar bending machines for clients around the world. Ellsen is available to manufacture semi-automatic, automatic and automatic numerical control rebar bender machines. 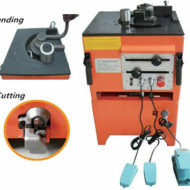 This bending machine is semi-automatic, which makes it more flexible to use. GW40D can bend bars into various arcs whatever you want. 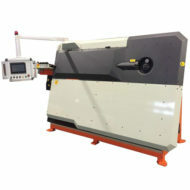 These automatic bar bending machines have several control buttons to switch bending angles from one to another. The differences in the fall on their work capacity and different motors. GW42 adopts gear device as its motor; while the motors of GW45 & GW50 are worm gear devices. Except for the control buttons, 50E also has a numerical control panel. You can set any angles according to different needs on the controlled panel. It is quite convenient to use and very easy to learn how to operate. 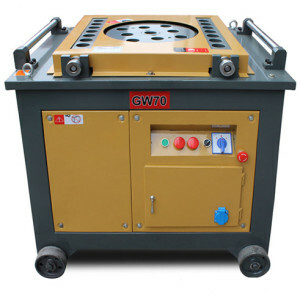 Compared with other types of automatic bending machine, GW50E can bear heavier duty. 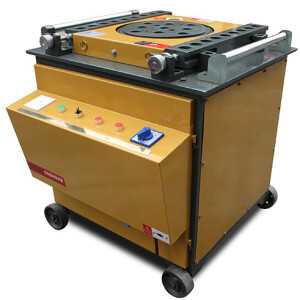 *The bending speed of our machine in adjustable, you can choose any speed you need from 5 to 10 r/min. 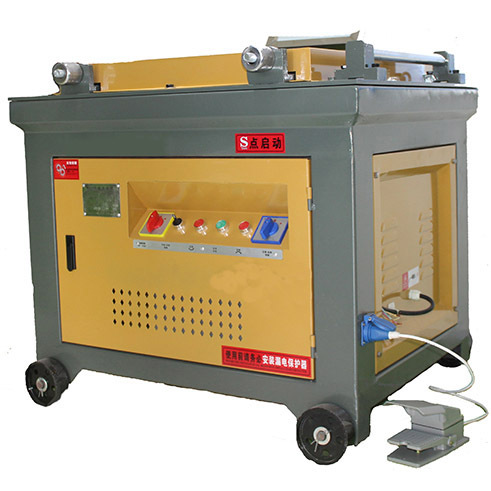 It is obvious that these machines’ work capacity are different; and Ellsen can provide customized-made automatic rebar bending machines according to different requirements of clients. 9. Strong rigidity and durability. Ellsen automatic bending machine adopts the hi-tech technique. Our machines are manufactured by experienced and skilled technicians. All these make a promise to the clients that our factories are able to make high-quality machines. And that is why Ellsen machinery has greatly accepted around the world. 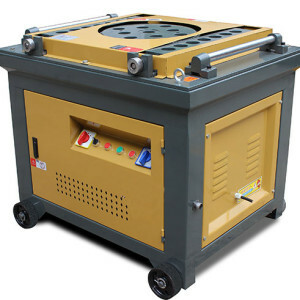 Except for the high-quality of our machines, Ellsen bender machines are also with different but nice appearance. Ellsen is devoted to meet clients’ need. It is our supreme pursuit since Ellsen was established. And we will be delighted to invite every client to visit our factories.